It is clear to us that there is a big difference in the price of the property and the value of the property. Therefore is it important for you to do some research on the aspects of buying a home before making any drastic decisions. 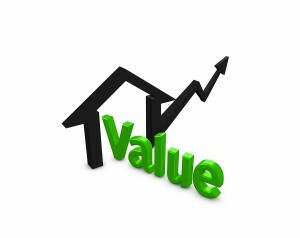 In this article I will give some information on the value of properties. I would advise that you have a good understanding of the extra details which are related to the property trade. You should also know what your budget allows you to purchase. It would be a lot easier for you to buy a home if you know what type of home you are looking for and if you know the price bracket that you can afford. I would suggest that you make use of a well reputed real estate agent that knows the area and the property trade very well. An experienced real estate agent will give you good information on the current market status of the desired property and if it is worth investing. It is of utmost importance that you make sure the property is priced correctly. It is very common for sellers to over price their properties. You have to compare prices of the same types of houses in the area. This should give you a better idea of what price the seller should ask for. It is important that when you compare prices, that you do not use prices which are older than six months. There are numerous factors which can contribute to the value of the property. The most important factor is the current market conditions. It is clear to us that property was much higher in the boom time. Nowadays property is a lot cheaper than it used to be. Nowadays have we seen that there are more sellers than buyers on the market. Because buyers have a more investment options, is it clear that the buyers are setting the value of the properties. The competition for sellers is much higher than a few years ago. It all depends on what the buyers are willing to pay. It is clear to us that most of the sellers determine the price on what they have paid for the property and what they have spend on the property. A seller can put down the starting price on the property, but it is important that you know that the price is actually generated by what the buyers can afford nowadays. To Conclude. This should give you a better idea of how a property is priced. There are thus various factors that I have not mentioned. It is very important that you educate yourself on the topic before attempting to buy a house.